Congratulations to Michael, winner of this weekend's Person-of-Mystery Contest! He correctly identified Dr. Crawford Long, who is best known for being the first surgeon to use ether as an anesthesia. Dr. Long was on my mind as I was about to attend a course in remote medical care and it made me think about what it would have been like in the earlier days of medicine. Dr. Long is also one of those people from history that I'd love to somehow have back for an afternoon to sit around and talk with for a spell. Imagine what it must it have been like to try and remove a tumor from someone in the days when you just had to start cutting with the patient awake! 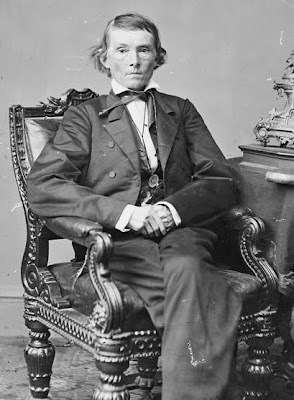 Crawford Long was born in Georgia and attended Franklin College (now the University of Georgia) in Athens, Georgia, where he was a roommate of Alexander Stephens who would later become the Vice President of the Confederate States. In fact, he and Stephens stayed lifelong friends. Stephens was not the only later-to-be-famous person Long would know. 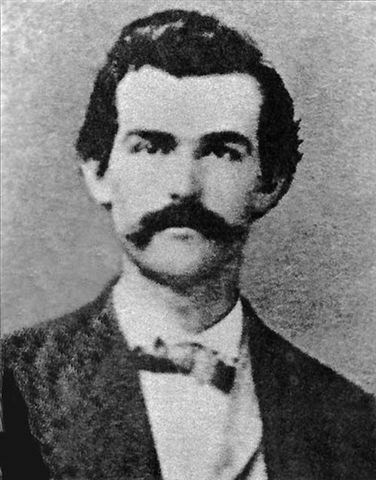 Crawford Long was also a cousin of Doc Holliday and reputedly performed surgery on Doc Holliday before Holliday ventured west. 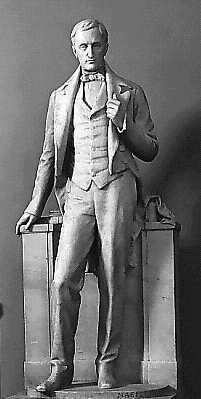 Graduating from Franklin College in 1835, he continued his education first at Transylvania College in Lexington, Kentucky and a year later transferred to the University of Pennsylvania at Philadelphia. 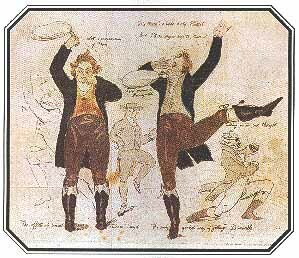 While a student, he was witness to hypnotists, traveling showmen of all sorts, and youthful parties where people would inhale nitrous oxide or sulfuric ether. Although he was skeptical of the hypnotists, he did take notice that at the gas parties, people using these inhalants seemed oblivious to pain while under the influence. 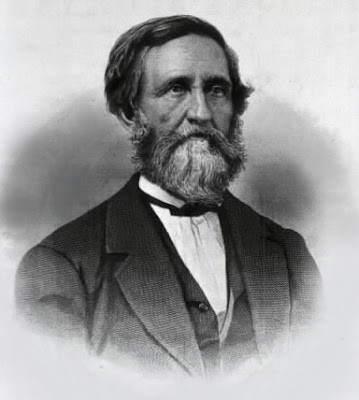 In 1841, Dr. Long returned to Georgia and started his medical practice in rural town of Jefferson in Jackson County. Remembering his earlier observations, he began careful experiments with sulfuric ether. He finally performed the first ever surgery using ether on March 30, 1842, when in the presence of several witnesses he removed a tumor from the back of James Venable's neck. Long went on to remove a second tumor at a later date. He continued to experiment with ether on other patients and used it to remove cysts and amputate toes and fingers. Eventually Long would also use ether for dental extraction and to assist in childbirth, even using it on his own wife on the occasion of their second child. Dr. Long did not publish his results, but performed his experiments carefully and in controlled environments with multiple witnesses. In 1846 a Boston dentist named William Morton performed a public demonstration of surgery using ether and published his results. However, it wasn't until Morton petitioned Congress for $100,000 in recognition of his supposed accomplishment and then later sued the government to speed remuneration, that Long finally published his results. 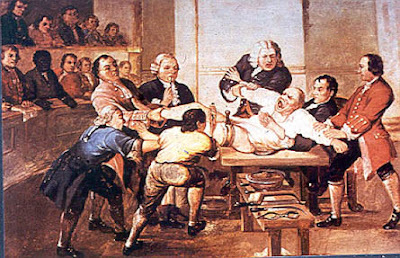 Long never sought monetary gain and medical experts eventually recognized Long as the first to use anesthesia for surgical purposes. He worked right up until the end of his life. In 1878, at age 62, he had just administered ether to a woman about to have a child, when he suffered a stroke. When the attending physicians recognized that he was in trouble, they rushed to Dr. Long's aid. His last words were, "Care for the mother and child first." Very interesting, this was new for me. That William Morton seems like an awful man.